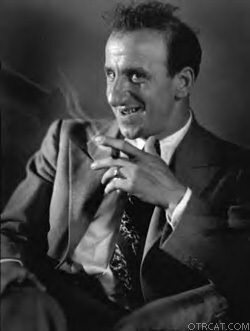 Jimmy Durante, known for his "schnozzola," his top hat and piano, and his uncanny way of butchering the English language, was a smash hit in the 40s. Durante was born in 1893, on the lower east side of New York where he learned to play the piano at a very young age. When he was just 17, he worked on the Old Coney Island restaurant owned by Terry Walsh. Here, he played the piano. After a few years at the restaurant, Durante and a couple of friends teamed up and opened Club Durante in 1923. Even though the Club thrived, they were shut down by prohibition agents. Not discouraged, Durante landed on Broadway. After having his name on the Marquee for 11 years, Durante was contacted by the creators of Chase and Sanborn Hour. At that time, Durante was already a national figure. The chemistry between Durante and Moore was incredible. Millions of listeners tuned in to hear Durante say "Dat's my boy dat said dat." In 1947, Moore departed with the show, saying that it was an "honest separation." 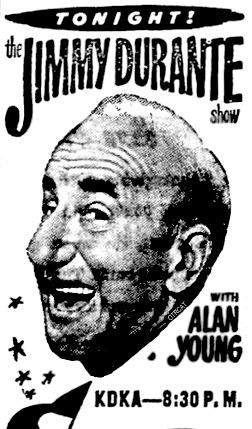 After the departure, the show name was converted to "The Jimmy Durante Show." The show consisted of Durante telling glib jokes, butchering long words, like "catastroke" instead of "catastrophe," songs sung by Miss Georgia Gibbs, and a comedy sketch. The show started off with Durantye's trademark song Inka Dinka Doo. 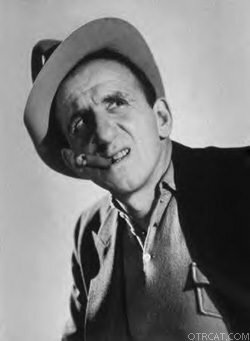 Be the first to comment on "Jimmy Durante"